RS Dawe was established in 1947 and has been a specialist in accident repairs ever since. The company's staff have numerous years of expertise between them to ensure that all work is undertaken to the highest standard possible, using the best materials and workmanship. The company's staff have numerous years of expertise between them to ensure that all work is undertaken to the highest standard possible, using the best materials and workmanship. We undertake repairs for major UK car insurance companies, repairs and servicing on a number of local company's vehicles as well as repairs for individual customers. 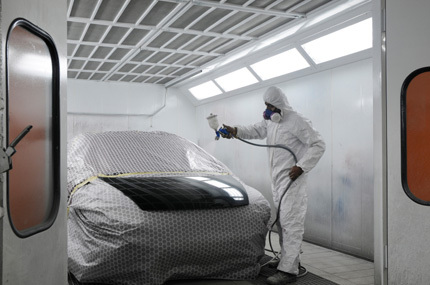 We are able to repair anything from a minor scratch or dent, to major accident repair damage to a high quality, professional and safe standard on both cars and commercial vehicles. Copyright © 2018 RS Dawe Ltd. All Rights Reserved.